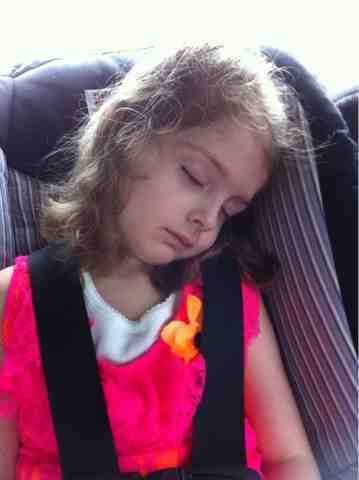 The rain has been tremendous all week and as I drive in the pouring rain she falls asleep. I want to enjoy this day but my nerves are raw, we are moving in a week and the trailer my husband is building is getting warped with the endless rain. At the school I sit in the truck for a few minutes, waiting for the deluge to subside and attempt to put things into perspective. Umbrella forgotten at work, which just shows how distracted we really are. Who forgets an umbrella with this much rain every day??? We finally head inside and I think I will return to work for an hour before the graduation starts because I'm desparate to not fall behind with all the moving chaos but they tell me to stay and get a good seat in the front. An hour to sit and think of things I might need - water, sweater, camera and socks for Charlotte so she can change out of her stockings after the ceremony. So I start texting husband while he's trying to get the two remaining kids out the door, in the rain. He's short with me and that just adds to my stress. Husband arrives and I disconnect from him, focusing on an unruly two year old who will not stay in his seat. We are at the very front though so when Charlotte comes through the door wild eyed and looking for her family we are easy to find, waving back like all is fine. 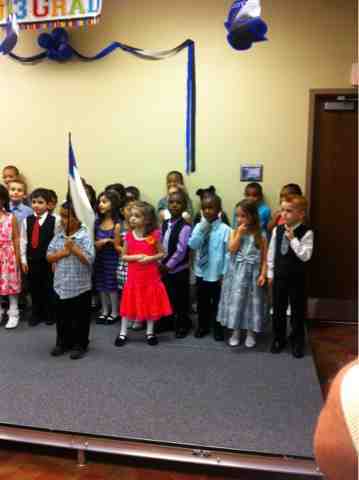 Her bright pink dress makes her stand out in the class as they say the pledge of allegiance. 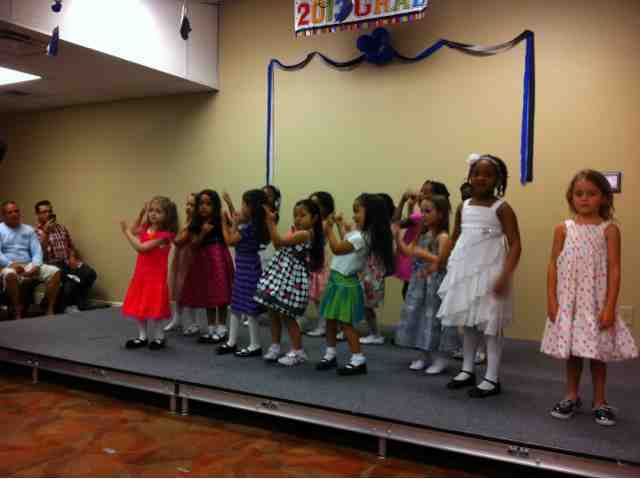 They move on to a song and dance, I love how she stands out in her bright dress. Followed by a long procession of 2 and 3 year olds, at which point I realized this is more than just a graduation for the pre-school! More wrestling with Sam enshues as he throws himself backwards into the family behind us and would have fallen on his head if someone hadn't caught him. The baby is bouncing wildly on dad's arm while he bravely tries to film the event. Finally our moment has arrived! Charlotte enters the stage to accept her diploma!!! 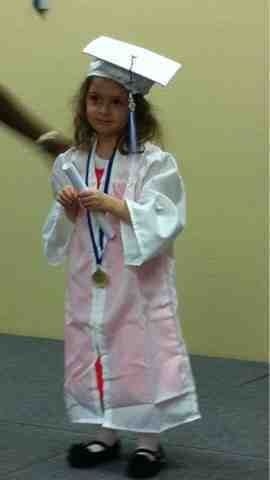 My princess, I'm so proud of her! We stayed in Florida an extra year just so she could attend this school and we are so happy with what she's learned and accomplished. The teachers and staff have been so incredibly warm and friendly to our little family and they have made our first year of school a truly memorable experience. 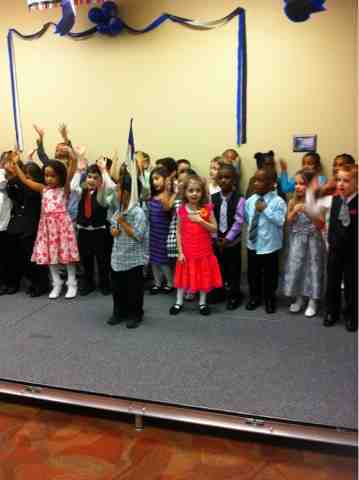 Thank you from the bottom of my heart to For Him Christian Academy.